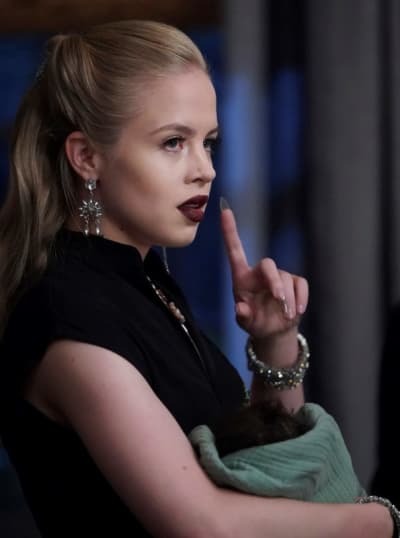 Looker, the new Big Bad on the block, has built her army in South Freeland on Black Lightning Season 2 Episode 6, and all she wants are Aniyah's babies. Everything about Looker gives us goosebumps; her aloof and cold attitude is nothing like we've seen yet. Anissa and Jefferson will need to prepare themselves for a fight. This new metahuman threat already has a group ready to defend her control. "The Book of Blood: Chapter Two: The Perdi" had a deep and layered story thanks to its plot that infused real-world issues into its metahuman conflict. 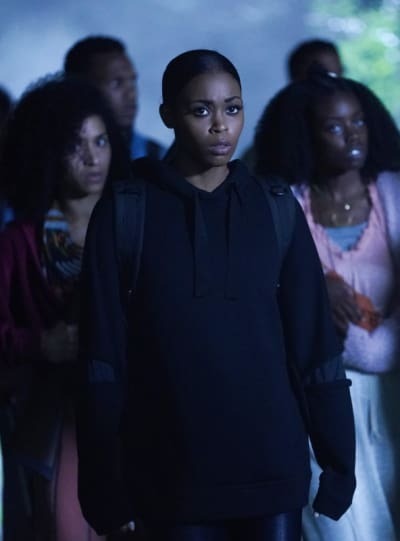 Just like Black Lightning Season 2 Episode 1 that discussed racial police shootings, the characters here dealt with a metahuman that blatantly set the battle over race. Looker controlled her followers based on skin color, and she even named them accordingly to that effect. Topics ranged from having kids with someone from the other group, Looker valuing one's ethnicity, and the treatment of both groups. From the way the Perdi/Sanjay talked about one another, there was a deep-rooted disgust and frustration that must have persisted for years. Just look to the reactions of Joshua, Aniyah's father, and Looker as perfect examples. They hated what it meant for someone of the Perdi (Aniyah) being involved with a Sanjay (Deacon). 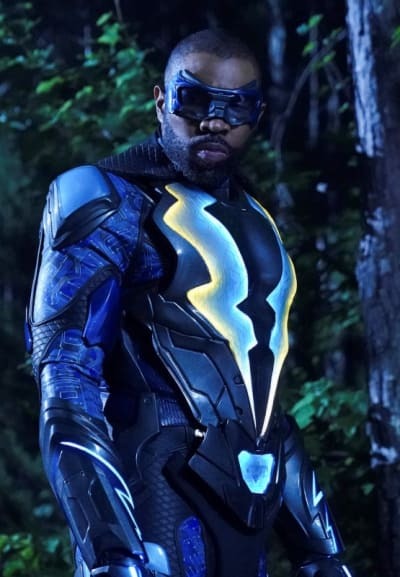 I liked the symbolism included in the story because, beyond the metahuman/comic book twist, it's an issue that doesn't just exist in the world of Black Lightning. Racial divides are happening in the real world; both inflicted by people in power like Looker, and people in everyday life. This problem still exists, and it needs to end. For someone as smart as Anissa, I'm surprised she created holes in her plan to find Aniyah. Like, why didn't she tell her parents about where she was going? 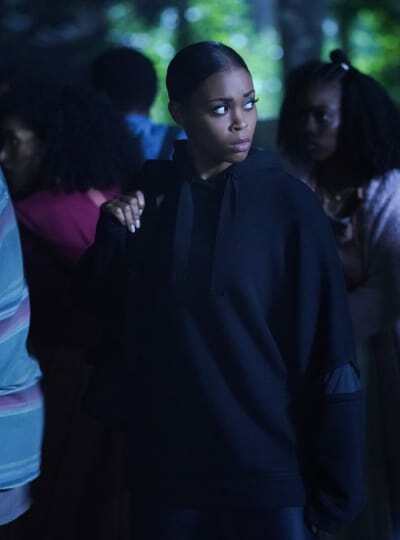 When they decided to transport the babies, why didn't she call her dad to protect them as Black Lightning? She knew how powerful the Sanjay was in South Freeland and that they were coming to get the babies. The group needed all the extra help possible. Plus, it seemed dangerous to go in the middle of the woods without telling her parents first in case of an emergency. Anissa played this recklessly and put her life at risk. She's lucky Jefferson spotted the beacon and arrived when he did to stop the attack. Jefferson: What the? A silver liquid. It’s moving on its own. Anissa: I think it’s from Looker. Jefferson: Wait, what is that? Anissa: Sanjay. Like her slaves, basically. She also said that this element ... it gives the Sanjay more speed and strength than regular folks. Permalink: What the? A silver liquid. It’s moving on its own. Aniyah's family and hideout provided a lot of information for the backstory, but it also offered drama. Their story and the reactions to the birth seemed almost like a soap opera. So, Joshua (Aniyah's ex) killed Deacon without realizing he was the father of Aniyah's babies? And he's mad that she chose Deacon over him? Also, she never told her parents (or just her father?) that Deacon fathered the children? That's a lot to take in about the lives of two minor characters we just met. Exposition is necessary to provide background. However, there was too much of it once Anissa arrived at the cabin for us to learn about the couple, the plight in South Freeland, and Looker. The news felt rushed. If the Looker plot had been introduced earlier, there would be more time and space for development in learning these plot points. Instead, the pace was pushed to get three stories enough screen time. When it came to Looker, she might be one of my favorite love-to-hate villains for Black Lightning and Thunder yet. She's powerful, incredibly creepy, and defeating her will make an impact for the people of South Freeland. 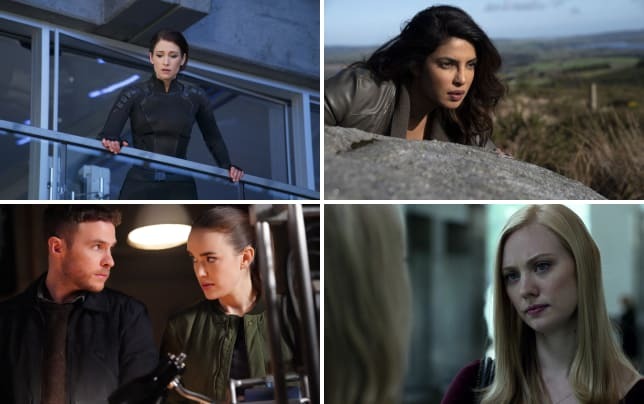 But, what stood out the most were her metahuman abilities and her connection to Jefferson. Looker isn't just another human criminal. She's a being with abilities who could go head to head against Jefferson and Anissa. We haven't had one of these antagonistic fights with a Big Bad in quite some time. When you add in the fact that she's a vaccine kid from 30 years ago, the bevy of exposition opened up a lot of possibilities. Looker and Black Lightning might not be the only people affected with metahuman abilities that survived. There could be more people out there, both potential allies and villains alike. Looker could just be the start. In the interim, they need to defeat her and stop her systematic racism. Her defeat will be one of celebration. Anissa: Aniyah said she showed up in South Freeland about 30 years ago. Jefferson: Thirty years ago? So she might be one of the original kids infected by the vaccine. Anissa: So, she’s just like you? Jefferson: Well, no, I wouldn’t say just like me, but, yeah. Wow. Sounds like I may not be the only vaccine kid out and about. Permalink: Thirty years ago? So she might be one of the original kids infected by the vaccine. I had a mixed reaction to Gambi being alive. Firstly, yay! I'm so happy that he survived the assassination attempt. Gambi meant a lot to the Pierce family, and they were very heartbroken over his abrupt death. You could feel Jefferson's heartache over the loss; he experienced the stages of grief as a means to cope. Plus, Gambi's death meant we wouldn't get any more of his dry wit. He was a master of fighting AND the cold delivery. On the other hand, it was expected that Gambi's murder would probably be a red herring. The death was so abrupt that something seemed off about the whole situation. His reappearance didn't have the surprise factor that the twist should have achieved. 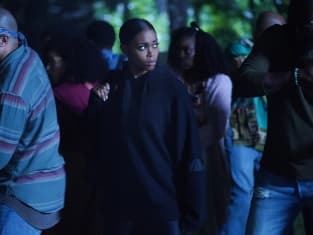 Khalil's change of heart was a subplot that Black Lightning Season 2 toyed with for a while. Learning more about his past and his reasoning for sticking with Tobias provided some sympathy for his reckless decisions. We knew he was trapped and honor-bound, but it wasn't what he wanted in life. However, the emotional weaving prepared us for the inevitable character shift from villain to conflicted anti-hero. Khalil isn't a murderer. He didn't want to kill the preacher on Tobias's order or do more harm in Freeland. If he had a choice, he would be back at home and in a relationship with Jennifer. I think his reconnection with Jennifer cleared his mind and brought him back to the side of good. Being exposed to someone who had his best interest at heart reminded him of the love (from his mother and Jennifer) that he wanted. And, being forced to kill someone noble like the preacher was the last straw. Who else rooted for Khalil to win the fight against Tobias? The odds were slim, but he had the moves to do it. The pair seemed evenly matched in battle. The Black Lightning fighting choreography did a good job coming up with an action sequence that was both quick and intense. And the inclusion of the shattering fishtank at the end topped off a fun fight gag. That glass must've been pretty strong for Khalil to endure so many of Tobias's punches against it. Khalil's scenes also helped provide a decent balance between Jennifer's polarizing support tactics. For instance, she acted sympathetic and tender to Khalil during their rooftop chats. In Lynn's case, on the other hand, Jennifer tried to be objective and rationale, which only caused trouble. She became more sympathetic and tender when that approach didn't work. Jennifer did not read the room appropriately. The character has shown growth in caring for others, but she still has a long way to go. If she had taken a step back and truly thought about her advice, she would've realized Lynn needed emotional support, not logical. Her mother was in a fragile space over losing 14 of her patients. And, she had to tell a group of parents personally that their kids were dead. Why would she even think to tell Lynn that she was responsible for their deaths because of sociopathic Dr. Jace? What she said was not okay. Did Aniyah's check-up not include checking the babies' heartbeat? Anissa not knowing the pregnancy was twins seemed strange. Councilman Parker is going to be hit with a bad case of karma real fast because of him helping Tobias. We're ready and waiting for it. The preacher needs to realize he's not invincible. Sure, he stood up to Khalil and got through, but someone else wouldn't have been that kind. Poor Lynn! She got saddled with running the worst meeting ever; no one would ever want to tell those families that the kids died in the pods. Khalil's conversation with Jennifer sounded like a goodbye. Will he leave on his own or will Tobias finish him off? What powers do the twin babies have together? Is this like a Marvel's Cloak & Dagger situation when they touch? What did you think of "The Book of Blood: The Perdi"? What is Looker going to do with the babies? Will Tobias succeed in killing the preacher? 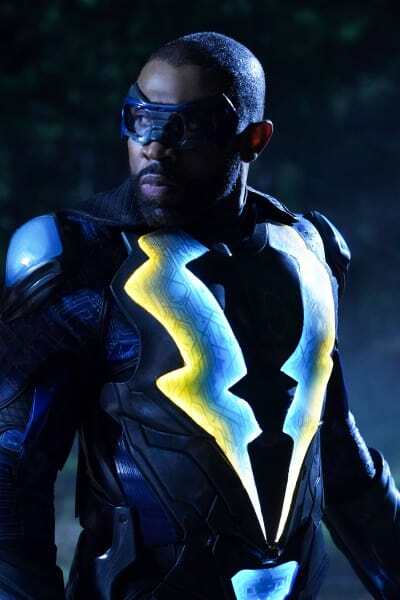 Will Black Lightning and Thunder save South Freeland from Looker's control?